Civil society organisations play an important role in the debate on and implementation of asylum policy. Their specific expertise and knowledge is synergetic to the Agency’s work and can be of added-value. EASO is committed to establishing a real and genuine dialogue with civil society as we strongly believe that the exchange of ideas can be of mutual benefit to both parties. 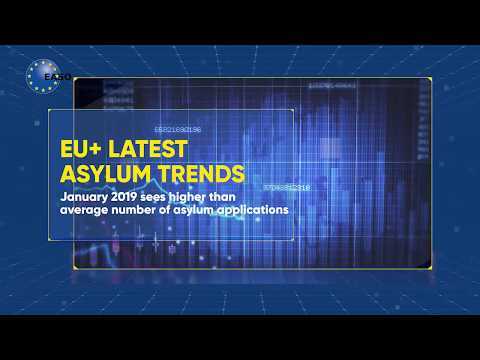 Cooperation with civil society is mainstreamed throughout all EASO’s activities ranging from EASO’s work on training and quality, information and analysis, operational activities as well as those related to the external dimension. 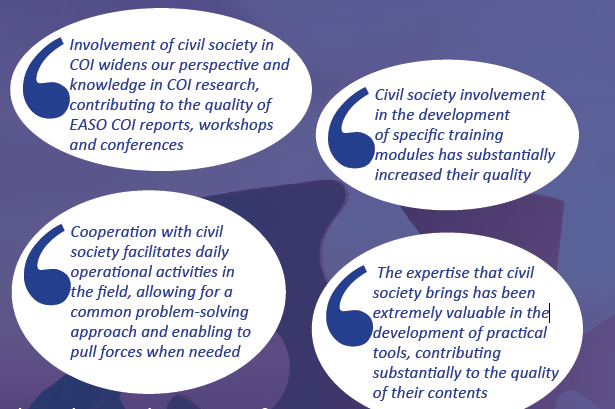 Below are some examples of how the involvement of civil society has contributed to different EASO activities to date.